ZALORAYA 2018 Fashion Show hype is still looming around us as we are all excited to get our raya festive mood on. As much as the glitz and glam you’ve seen happening during the ZALORAYA 2018 fashion show held at Ken Ballroom, Menara Ken TTDI last week, there are some things you might not notice during the whole event. Here are seven amazing things you missed at #ZALORAYA2018 show. Read down below. This year ZALORA is bringing up the fun by inviting various beauty brands to join in the show. Among the participating brands who got on board to support the fashion show were Maybelline, The Face Shop, DIDA, Hermo, Nita, Sleek, Paul & Joe, Ioma, Laneige, Velvet Vanity, Shade Dough, Chique Cosmetics, Kamelia and Glamx. 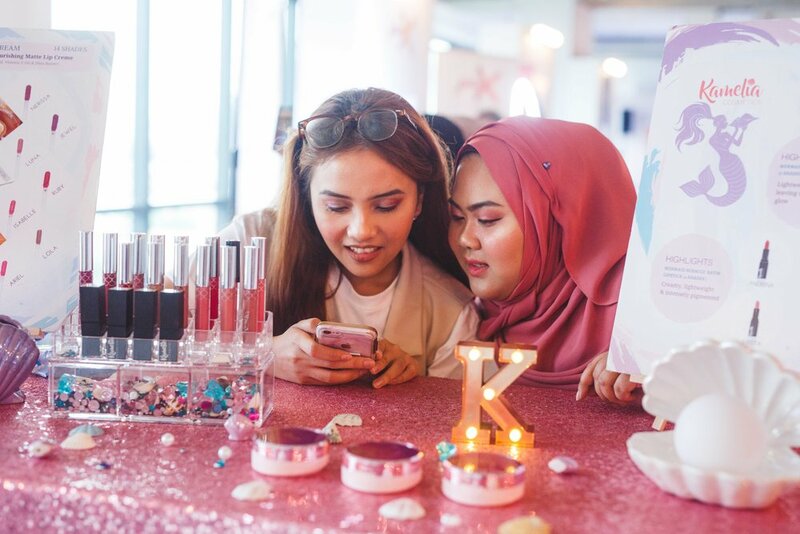 Each brand built their own vanity mirrors and beauty display set ups offering guests free makeup service, photo ops and also guest can test and purchase the beauty products from the brands with ease. Every brand has their own distinct style and guests of the show particularly women were enjoying the whole scene. ZALORAYA 2018 fashion show concept this year focuses back on the traditional games played during our Raya childhood days. 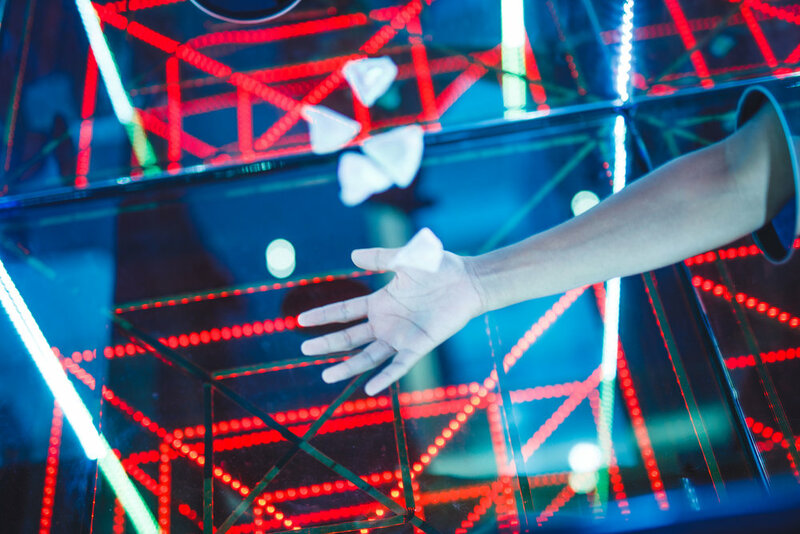 With the help of the talented artist, Bono Stellar, she turns the traditional games concept into fantastic art installations bringing that modern touch. The activation of traditional games art installation displayed around the lobby area was the famous congkak, batu seremban, gasing, guli and the wau. Each piece allowed guests to play and take amazing OOTD shots throughout the day. The celebrity and entrepreneur Neelofa made an appearance that day with her display of Naelofar for ZALORA collection of hijabs. The 32 piece collection offers three styles which are Instant (Claudia), Shawl (Louisa) and Bawal (Marquesa). Naelofar for ZALORA collection this season was inspired from Italy by her interpretation of La Dolce Vita meaning ‘The Sweet Life’. During her collection launch, Neelofa also demonstrated a few hijab styling tips for guests donning the Naelofar for ZALORA pieces. If you saw models getting ready and going in out behind curtains, then you definitely realize about the backstage hype. Backstage is always the hectic place during fashion shows with models getting dolled up and designers making sure everything is running smoothly. As you are enjoying the fashion show, you might have noticed a few familiar faces filling the front row seats. 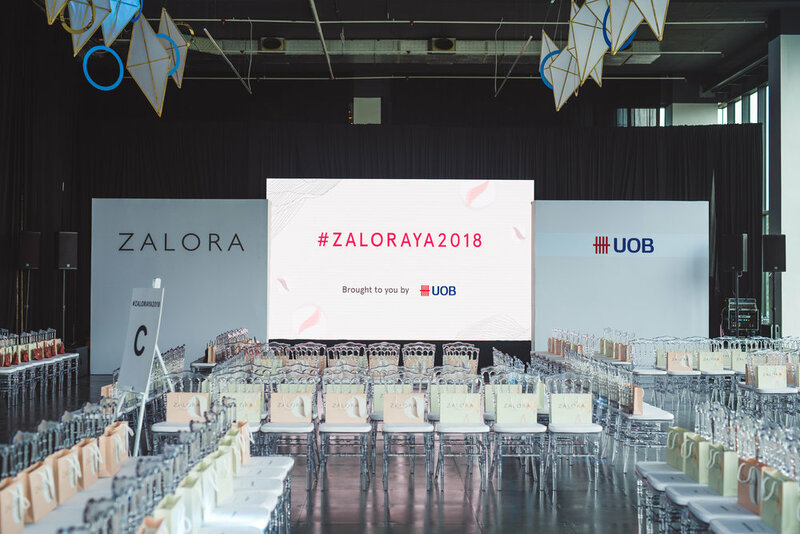 Among the famous individuals attending the ZALORAYA 2018 fashion show were Dato’ Jovian Mandagie, Nurita Harith, Marsha Milan, Hanez Suraya, Hunny Madu, Zaihani Zain, Neldyia Senrose, Azira Shafiznaz, Johanis Sani and more. Did you notice that there were some young faces around helping for the event to run as smoothly as possible? ZALORA was proud to work with Lim Kok Wing students who lent a hand in coordinating during the whole day for achieving a successful runway show. ZALORA helped the students in giving experience during their practical training whilst running the campaign. 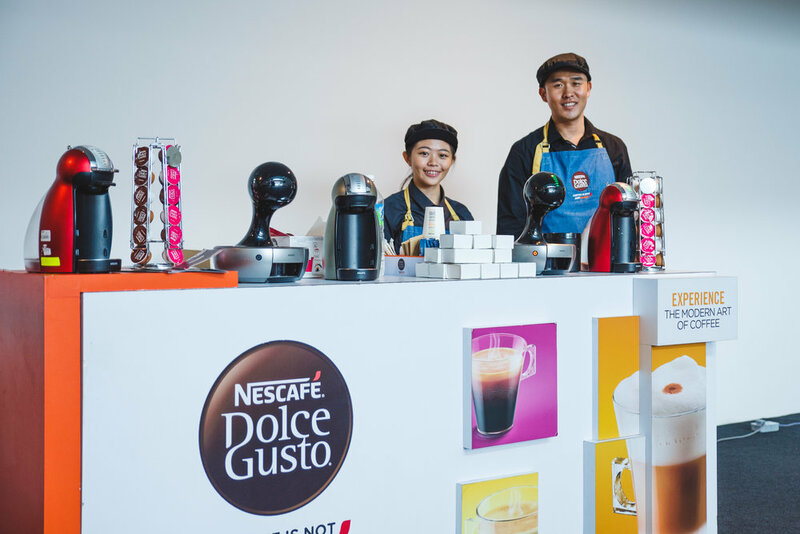 In between the fashion slots, guests were also provided with some delectable Magnum ice-cream and Dolce Gusto coffees on the site. This definitely helped to give guests the satisfaction of their cravings while mingling around before the show started. So did you love the extra fun things in this year’s ZALORAYA fashion show? What would you love to see for our fashion show next year? Let us know in the comment section below.